It's crazy what can change in less than a month. When these teams played in Brooklyn in the beginning of March, it appeared that the Islanders had solidified their place in the standings above the Penguins with a 2-1 win. After the loss, Pittsburgh would be 5 points behind the Islanders in the Metropolitan Division with 2 additional games played, as well as 8 points behind the Rangers with a game in hand, with only 16 games left on the schedule. Fast forward 11 games, and it's a completely different picture. The Pens sit 3 points ahead of the Isles in the standings with an extra game played, and with a win today Pittsburgh would not only clinch the playoffs for the Pens, it make it extremely difficult for the Islanders to surpass them with the season winding down to a close. It's the last of four games between the teams this season, and the Penguins lead the season series entering the game having won two of the previous three. The Islanders might have won a big game against the Penguins on March 8, but it came at a price. Jaroslav Halak hasn't played since injuring his groin late in the 3rd period, and while Greiss has played well splitting time this season, he's struggled as the unquestioned starter. Since Halak got injured, Greiss has a 0.906 SV% and 2.88 GAA in 9 starts. It doesn't help that while the team has been allowing more goals per game, they've been scoring fewer, as their 2.25 goals per game average in the 12 games that Halak has missed is well below the 2.84 GF/gm they had scored on the season prior to his injury. John Tavares continues to lead the New York offense, but not quite at the point per game levels that Islander fans have become accustomed to seeing from their captain. 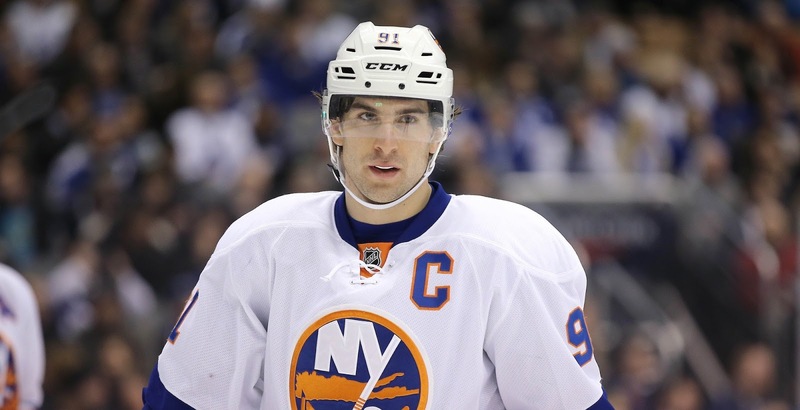 Through 73 games, Tavares has scored 29 goals and chipped in 32 assists. While a 61 point season would be great for virtually anyone in the league, it also puts Tavares on pace for the lowest point total since his rookie season the lockout year not withstanding. But this is one of the deeper Islander teams since Tavares rookie season as well, and the scoring burden has been spread throughout the lineup. Kyle Okposo enters today's game not far behind Tavares with 58 points, and Brock Nelson is having a career year in his third season, hitting the 25 goal mark for the first time. - The Pens' magic number for clinching the playoffs is down to 1, and there are several scenarios where they can clinch today. A win against the Islanders, or even just reaching overtime, will be enough for Pittsburgh to wrap up the postseason. But even with a regulation loss, they could still find themselves in the playoff picture. The Detroit Red Wings take on the Toronto Maple Leafs tonight, and a Detroit loss of any kind will be enough for Pittsburgh to clinch a spot. - It's not much of a surprise, given that he's been receiving talk concerning winning the Hart Trophy in recent weeks, but Sidney Crosby has been named the Team MVP. Crosby has roared back after a slow start to the season, and his 80 points rank 3rd in the league behind Patrick Kane and Jamie Benn. - According to the team's twitter feed, Marc-Andre Fleury will not be making the trip to New York as he's been diagnosed with a concussion.